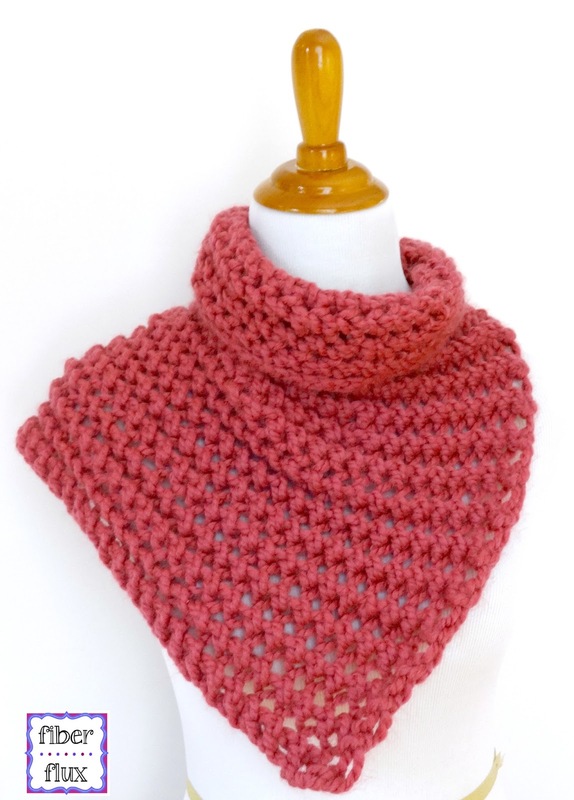 I am so excited to share this special knitting pattern today...part of the #scarfie challenge! 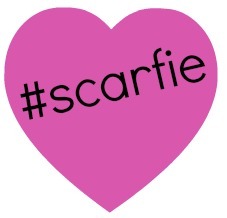 Have you heard of the "scarfie" phenomenon yet? Lion Brand Yarn created this clever idea to make a scarf, then take a photo of yourself wearing it...scarf + selfie = "scarfie", pretty neat, right? 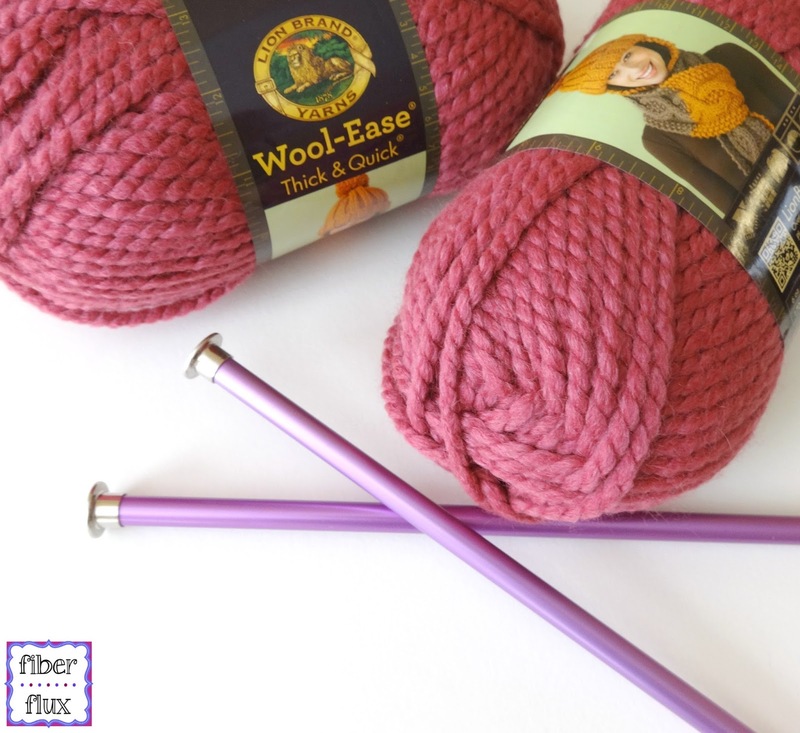 I was generously gifted two balls of Lion Brand's Wool Ease Thick and Quick (Thanks Lion!) and set out to make my own. 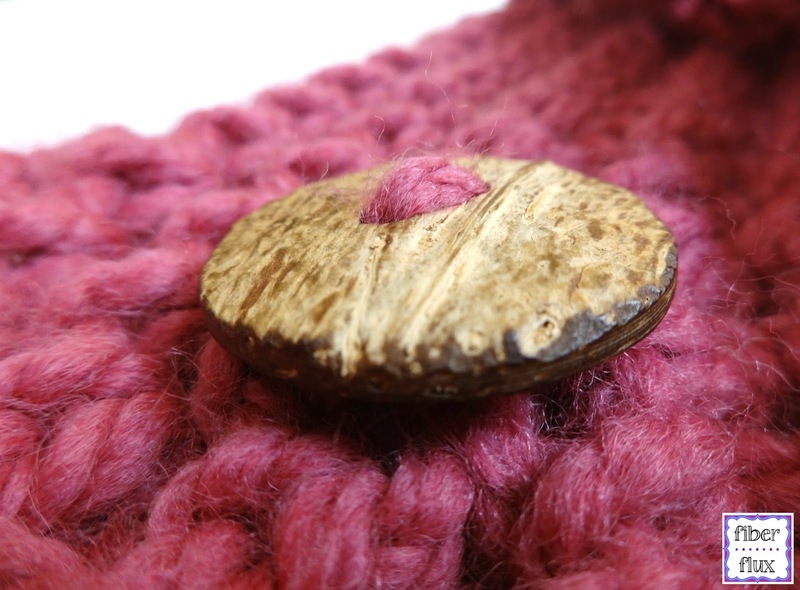 And from it...the Raspberry Sorbet Button Cowl! 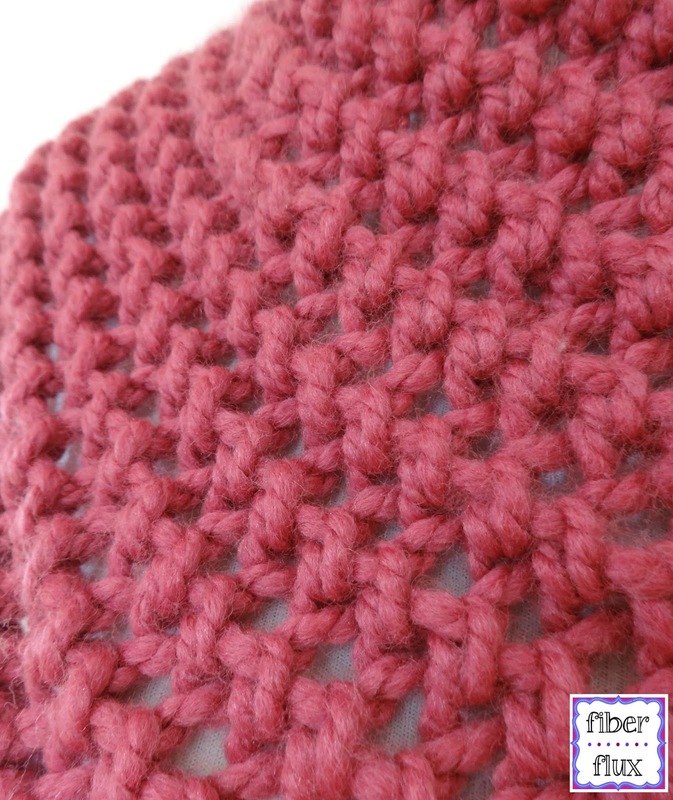 This knitting pattern is a super easy chunky lace with a fully adjustable button closure...so much fun! 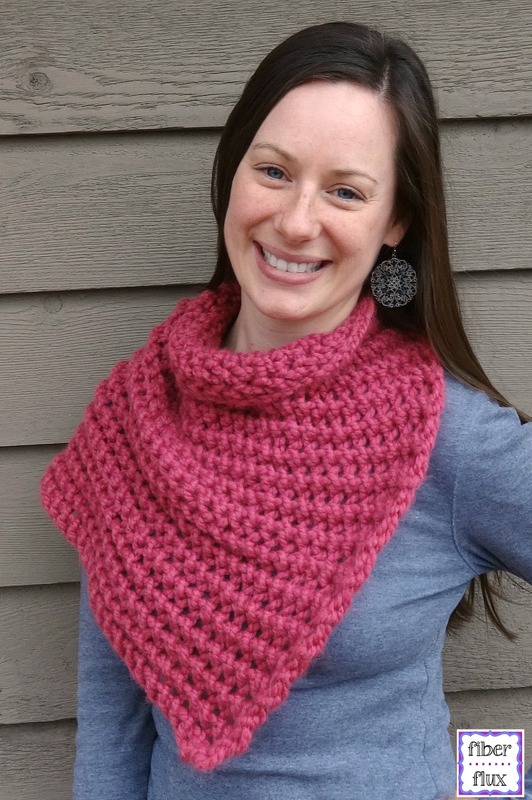 So without further ado, check out the free pattern below! Weave in all ends. 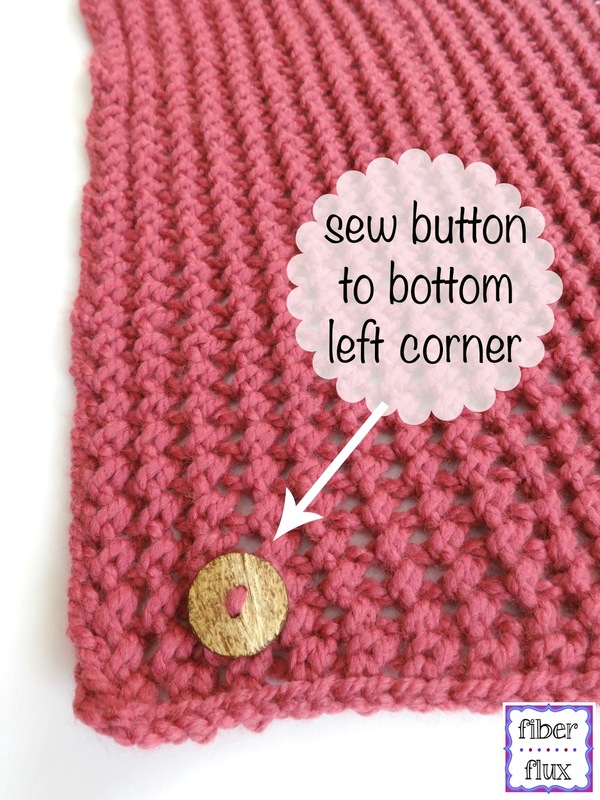 Sew button to bottom left corner with tapestry needle and matching piece of yarn. All finished! 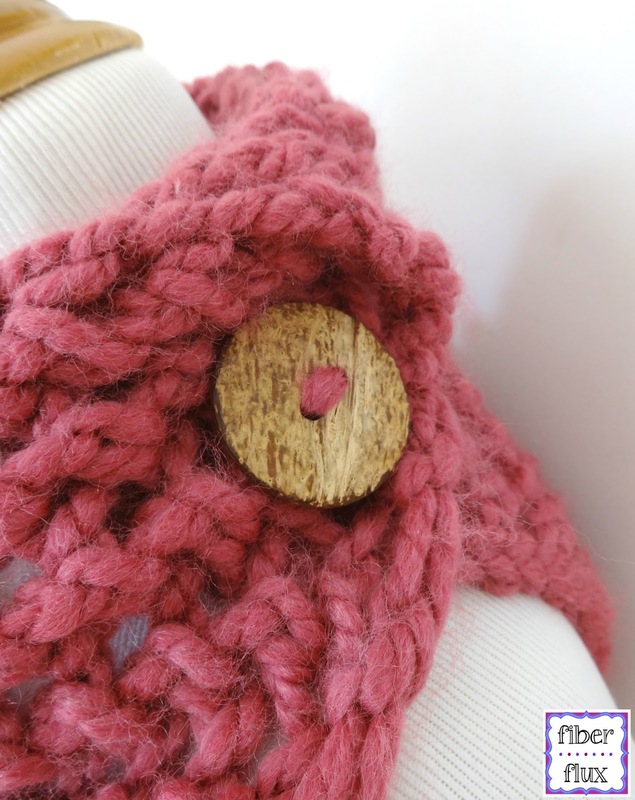 Petals to Picot's Crochet Scarfie and Knit too! 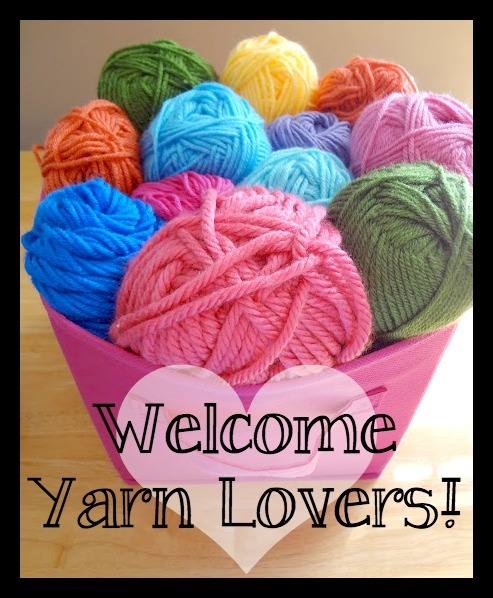 Note: I was gifted yarn for this project, all opinions, pattern, and photos are my own. Please read my disclosure policy here.